Hello friends! Nothing says Spring to me like bright nail polish! Nail polish is so popular right now and it comes in such beautiful shades. I love nail polish and I have so many different colors and brands. These nail polishes are a small collection of my daughter's. In the winter months I usually wear dark colors and not too light or bright, but when the spring and summer comes I like using brighter colors. The first bottle of polish is from Butter London and the color is Trout Pout. This polish was bought in the Boots Drug Store in London when we were on vacation there over the summer and to see that post you can see it HERE. 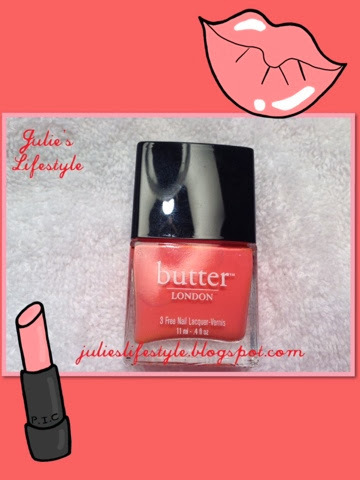 Great news on the Butter London Nail Lacquer you don't have to be in London to buy it! They now sell this polish and makeup in Macy's and to see the link click HERE. This is a splurge nail polish and it costs $15.00 if you want to treat yourself! The next are from Essie and the colors from left to right are: Cute as a Button, Go Ginza, A Cut Above, and Bachelorette Bash. 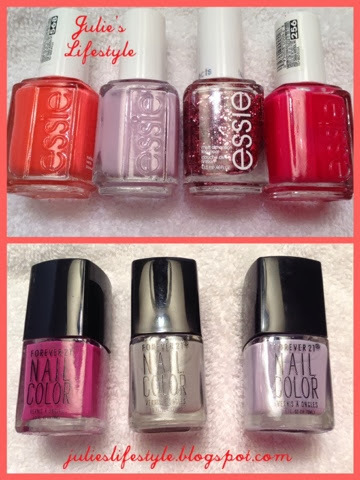 These polishes cost about $8.50. The next are from Forever 21 and the colors are from left to right: Eggplant, Overcast, and Lavender and they were only $2.80 a bottle. Do you like wearing nail polish and what is your favorite brand and color? 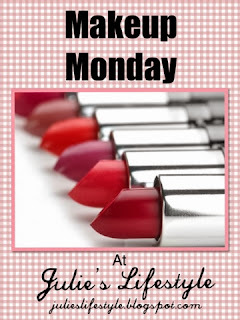 I hope you all enjoyed this post about nail polish and I look forward to seeing you all next Monday! These are all great colors for spring! I love the violet tones! I wear nail polish and do manicures often. I buy any Brand if I like the color tone for me, I don't care! These are great though. Enjoy your new week, dear Julie. Julie, this is so funny...I just posted a tutorial and my nail polish-less fingers showed! I can't have that happen again! I need some color! :) I have never worn blue, but always wanted to try it. I usually go with pinks or reds! I love nail polish and go for the lighter tones for Spring. (and my toenails are ALWAYS polished, we wear a lot of sandals here in FL) Would love to try the Butter...so pretty! Someone mentioned OPI and I haven't found it yet but it sounds like a good brand. I don't have a favorite brand....I just look at the colors! Happy Spring! I ALWAYS wear a light color on my nails and a bright one on my toesies. I work a lot with my hands and dark polish always shows knicks sooner. Here's an interesting fact Julie: as you know, mani pedis are around $23 for both here in NY if you go early in the week, and rarely more than $30 other days. Last week my friend in Massachusetts bought me a pedi for my birthday which was...wait for it, wait for it...$36! So a mani pedi would be $50! Guess it goes to show you it's all about competition. I love nail polish, I painted mine a beautiful gold shade by O.P.I last night. Thanks for linking to Sweet and Savoury Sunday! Stop by and link up again this weekend! Loving all your nail polish collection. They are perfect for Spring!! Wordless Wednesday - 100th Birthday! Happy St. Patrick's Day 2014! A Special Thanks to My Followers!